The books you should read while still a student vary, it depends on your goal, or on what you enjoy the most..
an as i said in the previous post i will evaluate the books i read (from which i read at least 3 chapters), may be they will help any one looking for a certain topic. you can notice that most of them is low level, classical or simply ooold. BUT NOTICE that it was never about how many books you read, its about how much experience you can gain from..
4- The history of the industry and technical trends. but still these are worth mentioning..
-if u r just starting, then DO NOT waste your time on assembly not HLA. -BUT you MUST read the first part of this book. -Your interaction with your PC will certainly differ after you have read it. -NO Prior knowledge of any thing needed. i NEVER LIKED “X Language How to Program” books don’t ask me why, but this book is much advanced than any. for a junior ACMer, this book has lots of alternatives, websites, Lectures or wikipedia can be more intuitive than this book, regrettably, i read it a bit early. One of the originals (its like the Gide to Windows), you wont really understand GUI until you read it. ..if you don’t know Jeffrey Richter then you haven’t read this article about how the GC works. Still no C# books ?! , Strange !! i guess every CS student dreams of his code being in every home 😛 on every PC every server, growing on his own in the wild 😀 , well i was no difference..
After small search about Ludwig, you will find out that he is philosopher not just a programmer, thats why that book is so great. a VERY old book, it worth $1.51 on Amazon, i dont recommend it for any one, its too old for the .NET world, but still i couldnt resist mentioning it, actually you can just read the quotes at the beginning of each chapter only. 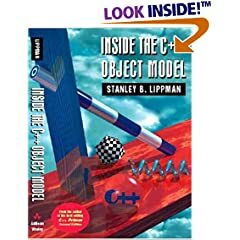 i think after all these books about pointers, classes, c vs c++ ; you start to wonder, how was these C++ class idea implemented in C ? .. what happens in the assembly level?, what is the virtual table ? 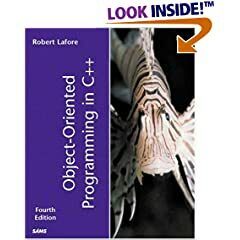 and how can one “this” mean a function and its parent in the same time..
well, the answers are in this book, by one of the guys who co-wrote the first c++-compiler , it think it was cfront or something. that’s it for now ..
just a brief review in the soul of recognition for these great old books.. especially that we never read nowadays .. and if we do we simply get our info from some forum or article written by some novice like myself ..
please feel free to comment on any book mentioned (or not mentioned) in here .. Since i am migrating soon isA to Linux, mostly Ubuntu or Debian, i.e. a check point in my programming life, thought to share my Programming (For Windows) Experience from a developer point of view, may be it will help any one struggling with windows to know where he stands and where to go from there.. These are totally my views, i don’t think its a very smart way to learn, but i am quite satisfied with what i have learned, my only regret is that i never got to really share it or to apply it in a real useful project. 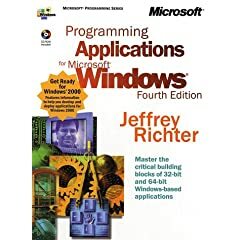 i enjoyed programming for windows quite a bit, not to forget this important fact, but still think there is much more that i missed, thats why i am migrating.